We are masters in public health. We are pharmacy professionals. We are engineers, account managers, business analysts, product owners, and client service specialists. But most importantly, we are passionate about the products we build and the work we do to connect the entire healthcare ecosystem and build a path to a healthier future. 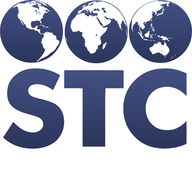 We would like to introduce you to some of our team members who make STC what it is today. We encourage you to connect, follow or start a conversation with them to learn more about our innovative solutions. Founded in Arizona with two staff members. STC collaborates with the CDC to set the national standards for state immunization registries. STC takes their immunization registry solution, IWeb to market. Federal government calls on STC staff experts and disease mapping products to aid the federal response during bioterrorism Anthrax attacks of September 2001. Hong Kong Department of Health, Centre for Public Protection, calls on STC after the global outbreak of severe acute respiratory syndrome (SARS) to assist Hong Kong in strengthening disease tracking and response systems. STC establishes first national health record exchange in response to Hurricanes Katrina, temporarily enabling all 50 states to access electronic immunization records for displaced Louisianans. A Washington State pharmacy chain’s research driven program with STC identifies opportunities to increase vaccination rates and sales, fill gaps in coverage, and better protect the public from vaccine-preventable disease. This marks our entry into Private Sector healthcare. STC becomes an approved contractor for two major 10-year CDC “IDIQ” grant mechanisms…and wins all three of the first competitive contracts. STC’s IWeb to manage their immunization data.